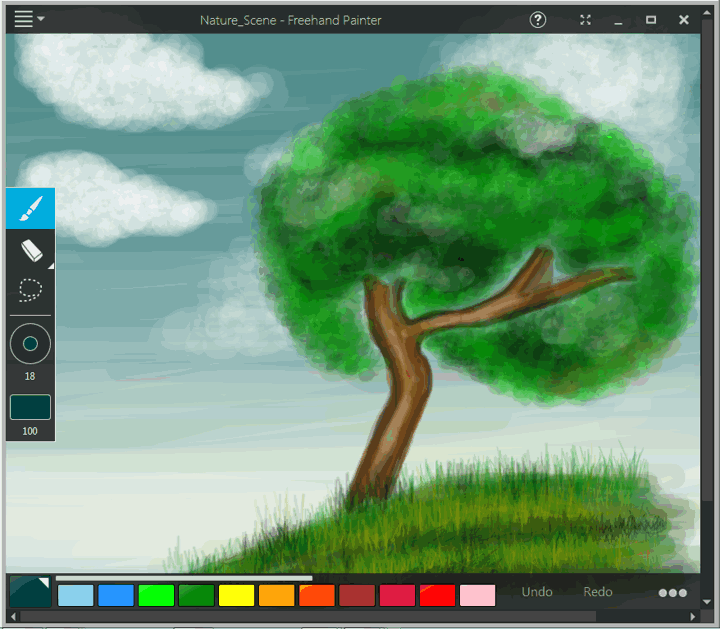 You can select colors for your artwork from the color group in Freehand Painter. How you select a color depends on the need of your artwork. The color group is present at bottom of the workspace. It consists of a range of preset colors which are commonly used. Click a color, you wish to work with. Selected color will appear in (color square), on left side of the color group. The color you choose is displayed in the color square. Click the color square to edit the color. To work with colors, first select Brush tool from the toolbox. Then select the color that you wish to work with. You can adjust the brush size and color opacity to produce different color effects.